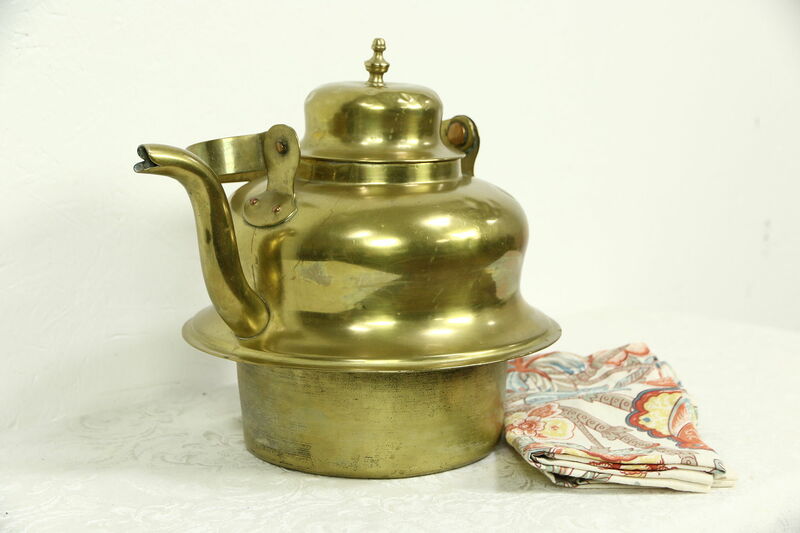 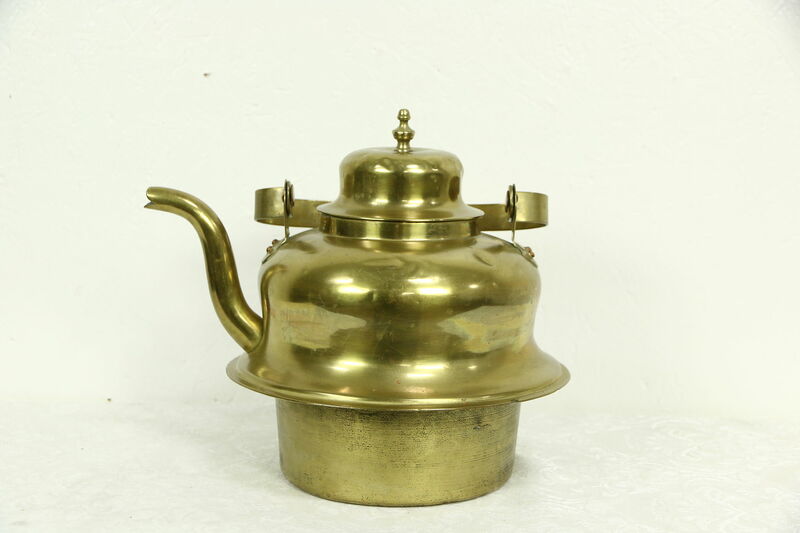 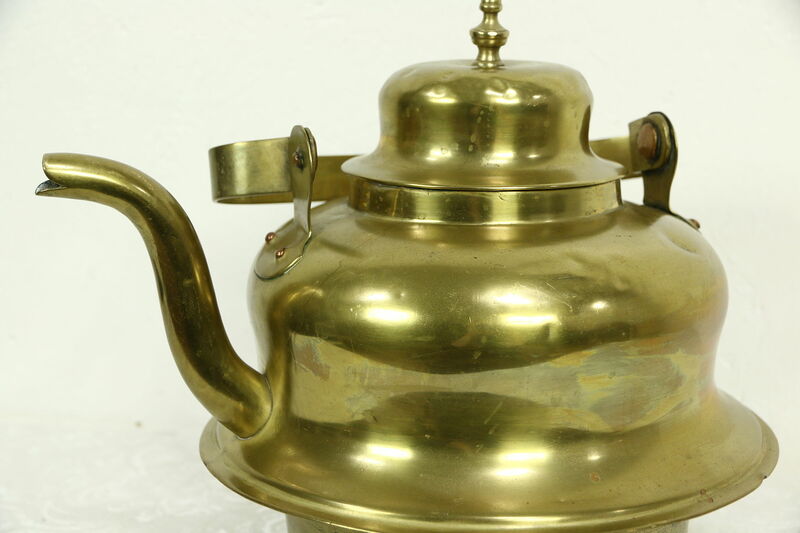 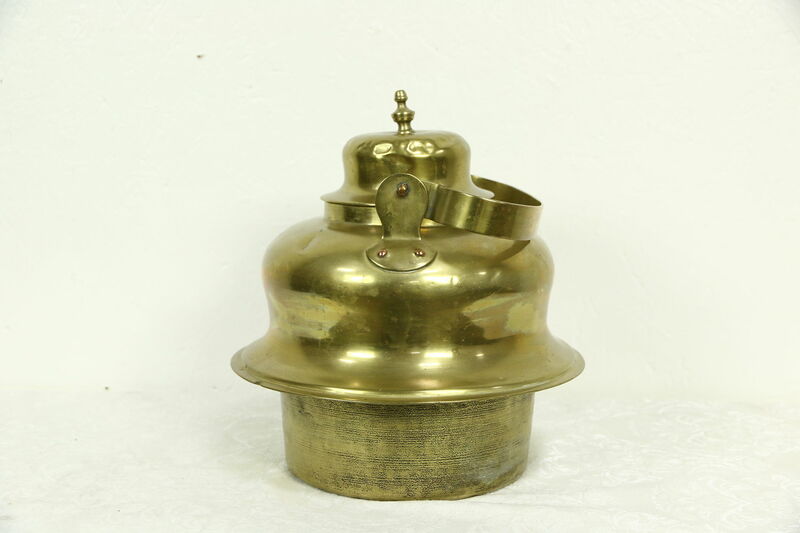 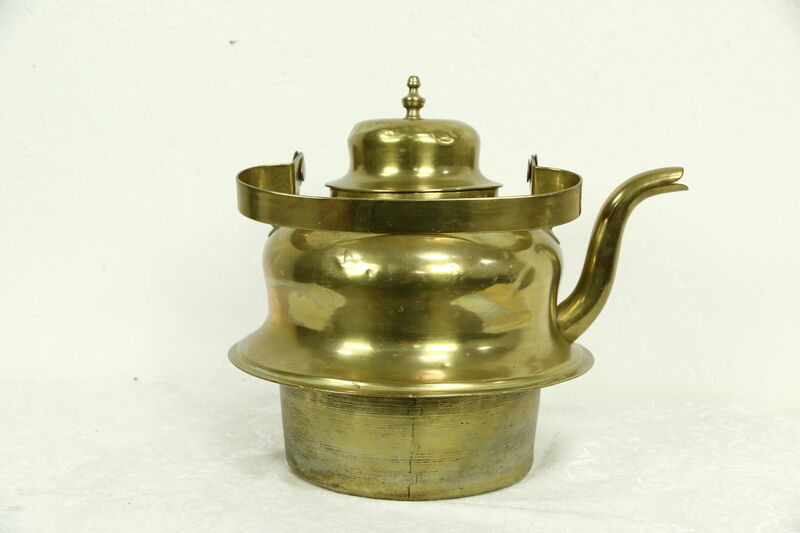 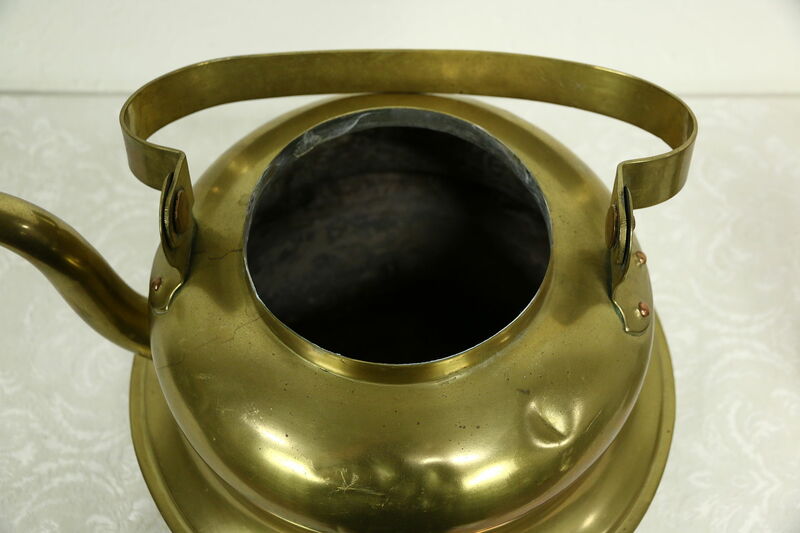 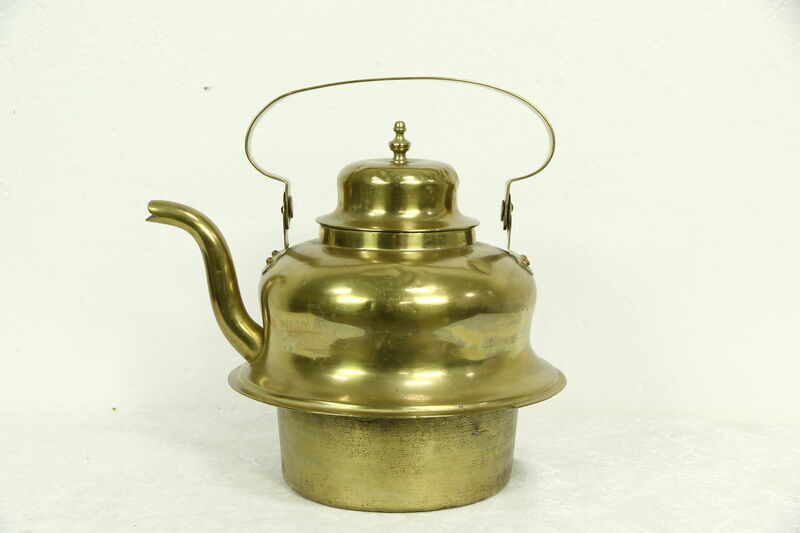 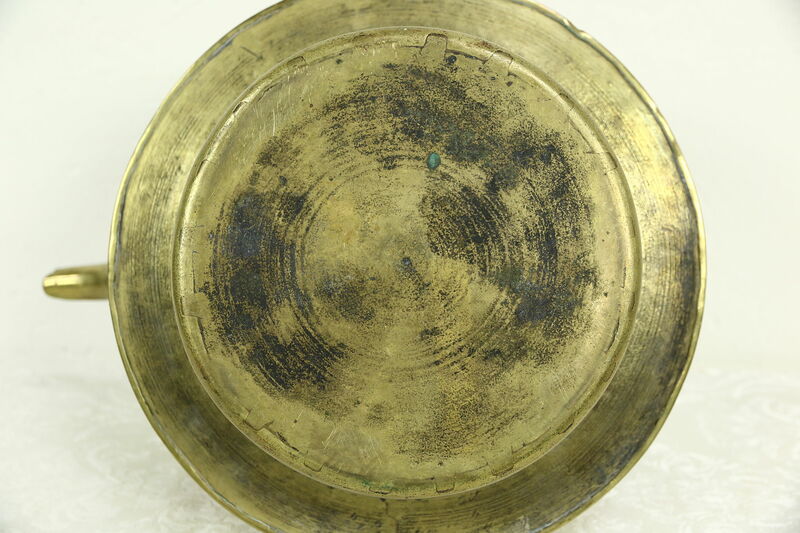 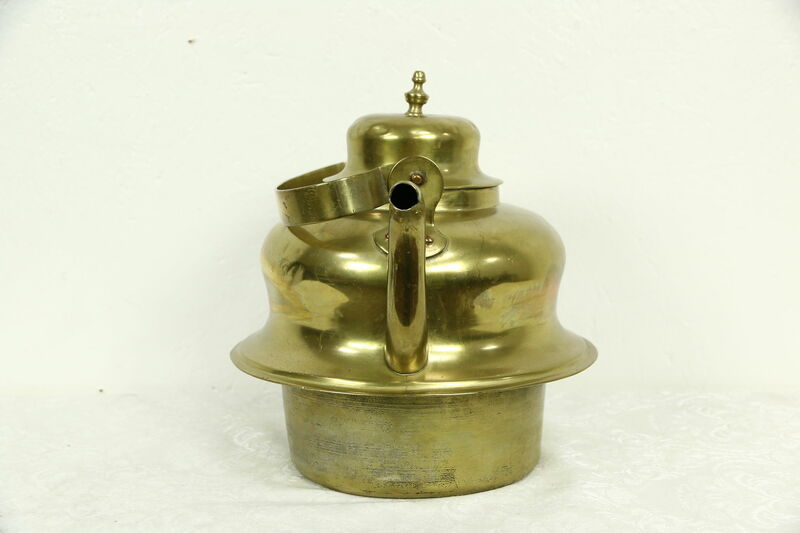 A heavy weight solid brass hot water or tea kettle has a ring to set in a hole in the top of a wood cookstove to get close to the fire. 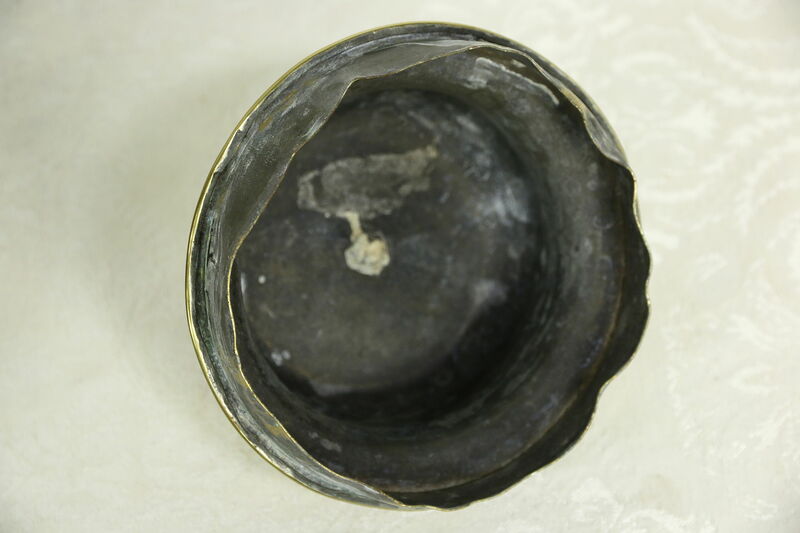 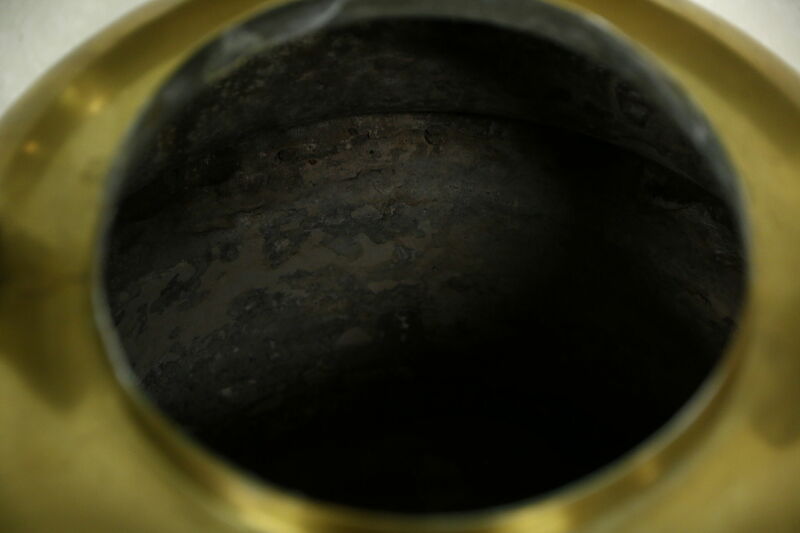 Entirely hand made, dovetail joints are visible on the bottom of this pot from the 1870's. 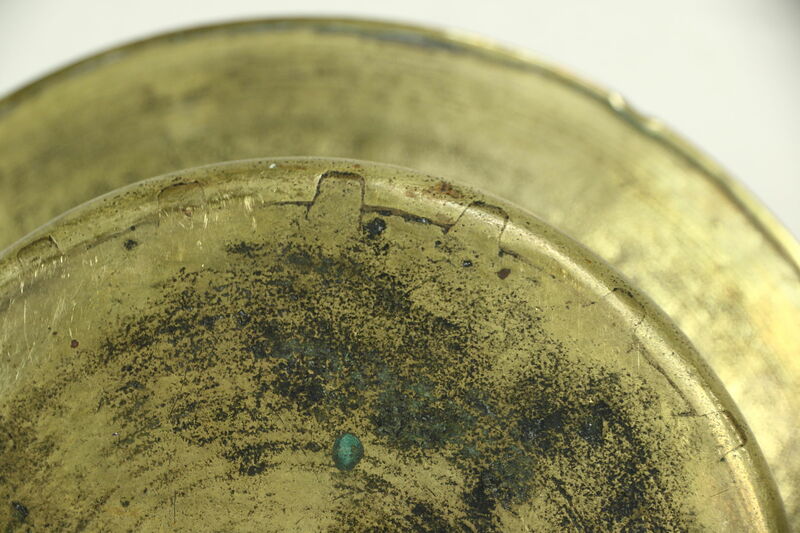 The interior is tinned, rivets are copper and there are just enough dings for a little antique character. 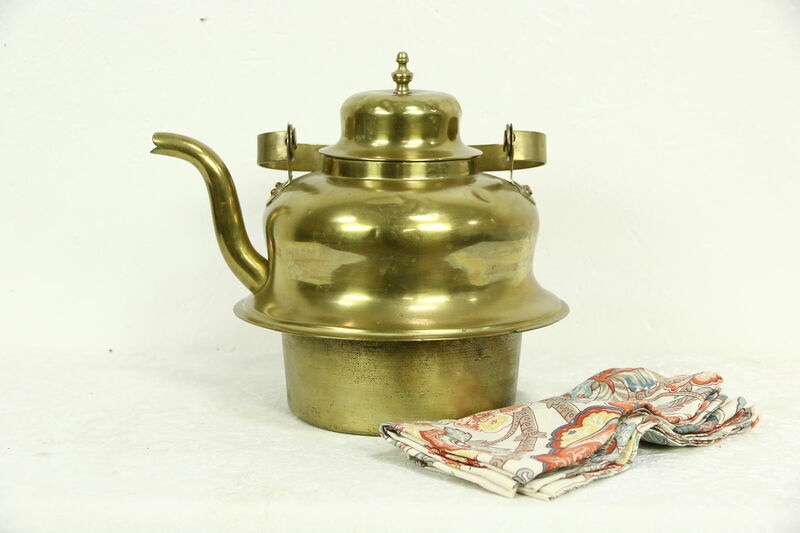 Size is 13" across, 10" deep and 12" tall including the folding handle.